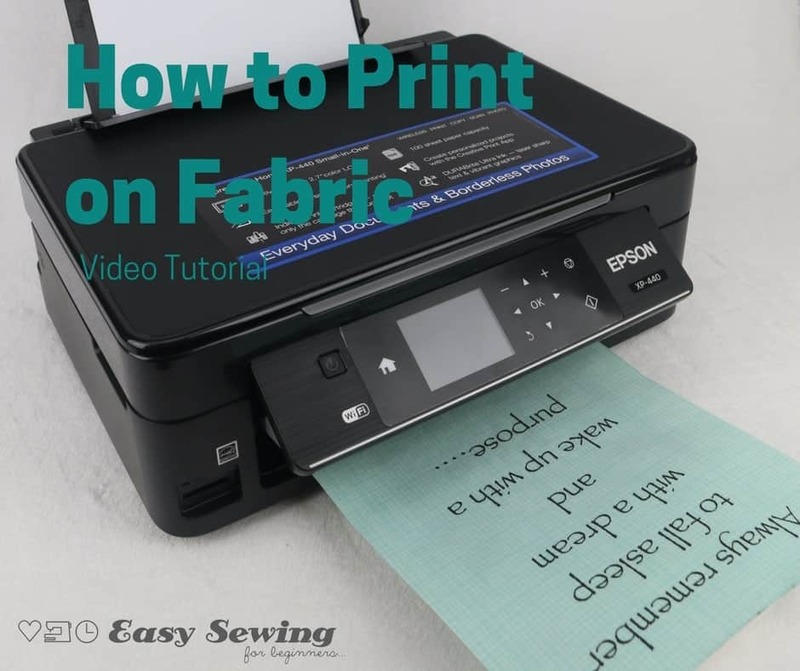 Here is a video tutorial for how to print on fabric using an inkjet printer and freezer paper all in the comfort of your own home. I’ve almost perfected my process for this and am very excited to share it with you all today. 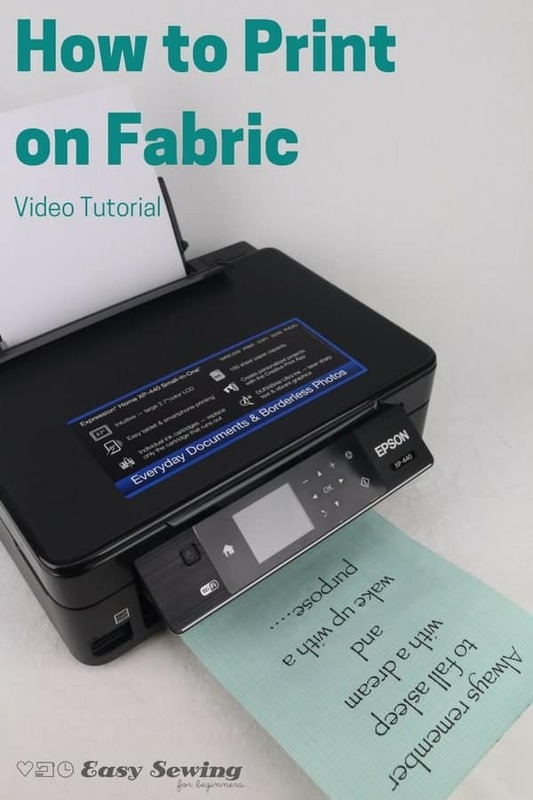 Below you will find my step by step video instructions for how to print onto fabric which also has an extra tip for helping that fabric retain more of the ink after it has been washed in the washing machine. 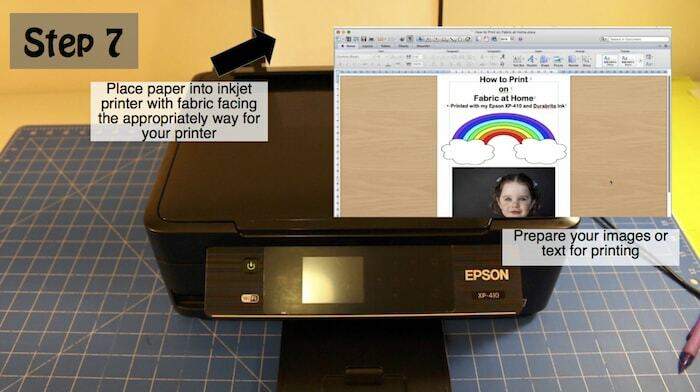 Did you know there’s 2 different types of ink for inkjet printers?? No? Neither did I when I first started experimenting. One type of ink is more colourfast, where the other washes out mostly on the first wash. Read on if you’d like to know more about it. Oh the things I didn’t know about printing on fabric before starting this little adventure! Printer inks for your inkjet printer can come in two different kinds. You have dye based inks and you have pigment based inks. when it comes to printing on fabric I have learned that having a printer with Pigment based inks it far easier and more durable than a printer with dye based inks. Pigment based inks tend to be more permanent. They are naturally more fade resistant and the fabric holds the ink better if you plan to wash your fabric in the washing machine. This post here by Gloria Hansen, has some great comparison photos of pigment vs dye based inks. Dye based inks are not water and fade resistant and will lose their colour quickly if and when you wash it. If you do have a printer with dye based ink then you can always pretreat your fabric with Bubble Jet Set first and then print. To get this product in Australia was going to be expensive for me, RRP of $35 and that’s not including postage costs, so it was a much better solution to just buy a new printer (It’s even cheaper to buy the Epson Xp-440 if you live in the US). If you’re not sure if your printer has pigment based or dye based inks then check out this website for a great list of inkjet printers and the kinds of ink they take. 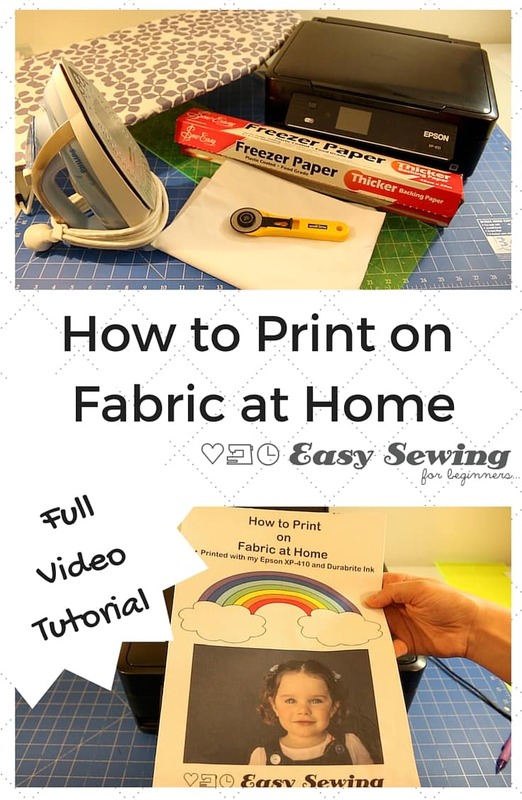 How to Print on Fabric at Home – The Step by Step Instructions! 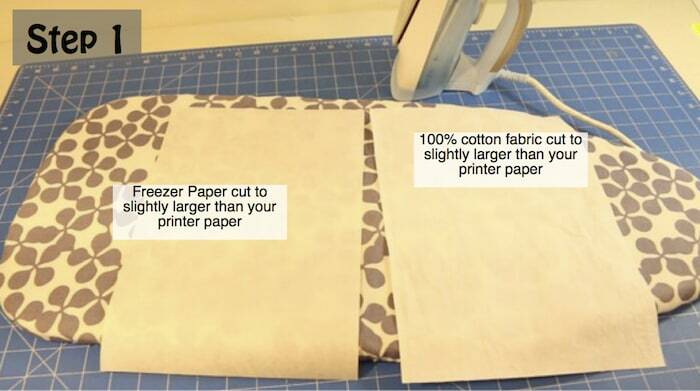 Step 1 – Start by cutting a piece of fabric slightly larger than your computer paper. Ensure you use sharp cutting tools to do this. Repeat this step with the freezer paper. Step 2 – You will notice that the Freezer paper has a dull side and a shiny side. place the shiny side of the freezer paper down onto the fabric and iron the two pieces together. The fabric should now stick to the freezer paper. 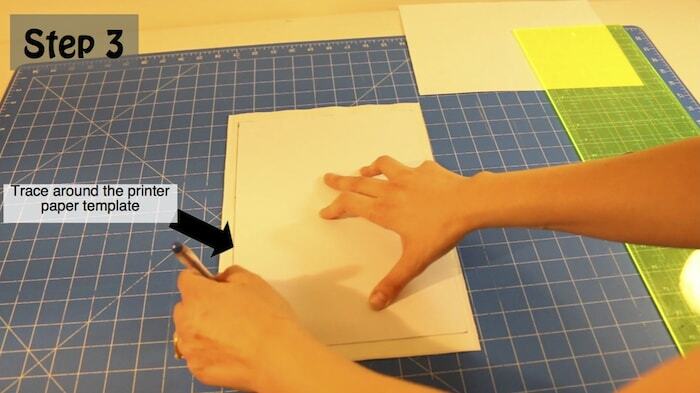 Step 3 – Trace around the printer paper onto the freezer paper side using a pen or pencil. 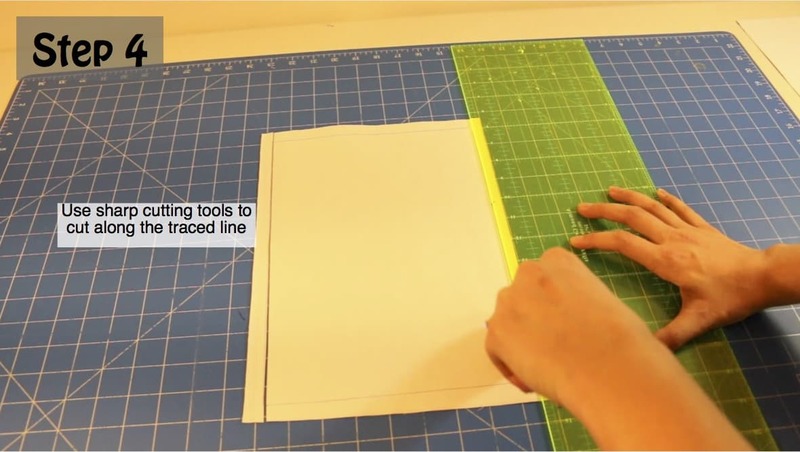 Step 4 – Using your SHARP cutting tools, cut out around the traced line. Sharp cutting tools will reduce fraying on the edges of the fabric. The more fraying the more chance of the ink smearing as it is going through your inkjet printer. You don’t want that! Step 5 – With the fabric side facing up, press the edges and corners of the fabric to ensure the freezer paper is adhering to the fabric well. Be sure to only press. 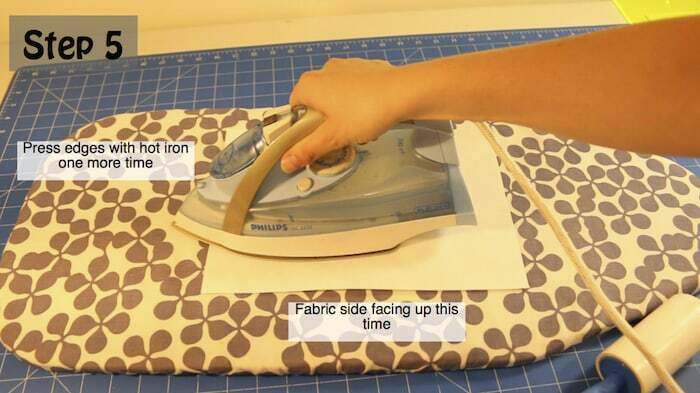 Try not to move the iron from side to side while it is on your fabric, as this may cause fraying around the edges. 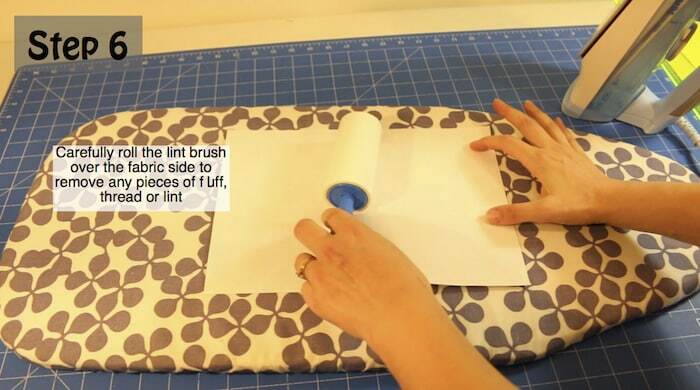 Step 6 – Carefully roll the lint roller over the fabric side to remove any pieces of fluff, thread or lint. avoid the edges as they will fray if you go over them too many times. Defluffing will reduce the amount of smearing while the printer is printing. 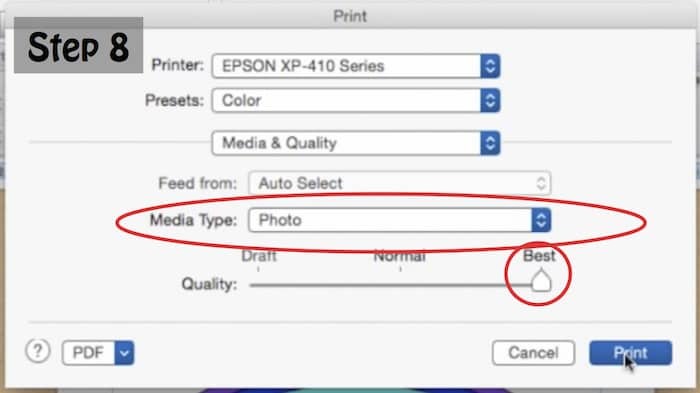 Step 8 – If possible, change your printer settings to ‘Photo’ for media Type. The printer will be gentler and slower on this setting. I also have the option to change the quality of the printing to ‘Best’. This will all help you to get the best printing possible on the fabric. 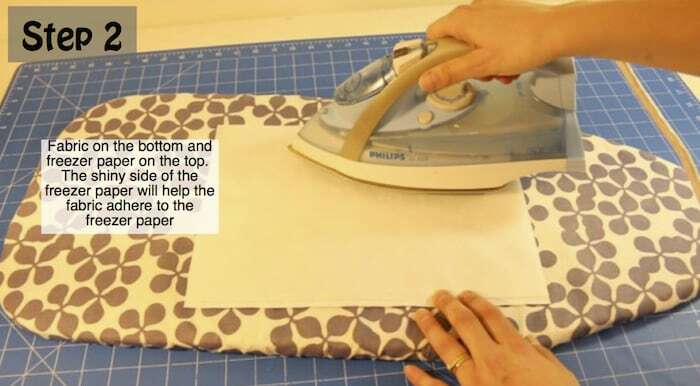 Step 9 – Leave your printed fabric to dry for at least a couple of hours or overnight. Remove the freezer paper from the back gently. You are now ready to add your printed fabric to your sewing project or you can treat it with Retayne to help the fabric hold more of the ink if you will be washing it. In my video I showed you the difference treating with Retayne (or some other colour fixative) can make to the colourfastness of the ink on the fabric. Check that out if you’re interested in seeing the results! So I’ve come a long way in this journey to print on fabric. From my epic fail to my victory made the adventure well worth it and i’m glad that I persisted with it. If I can help just one other person learn how to print on fabric successfully, then my job here is done. I would love to know it this video tutorial hashelped you in any way. Leave a comment down below here on the blog or even on YouTube. I’ll find it! Happy printing on fabric! Yay! My new Epson printer has been a REVELATION. 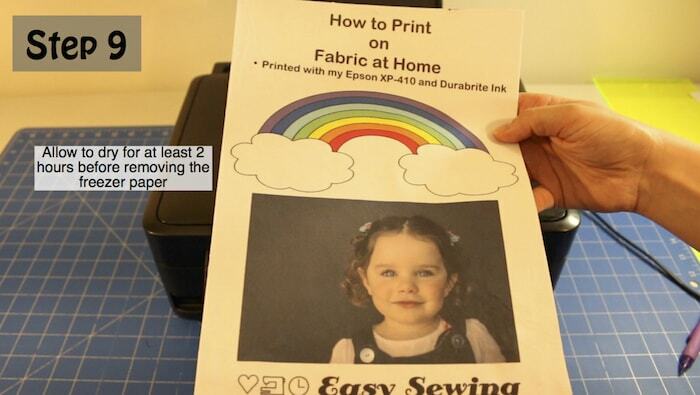 Finding this information about using my printer with fabric is FABULOUS! 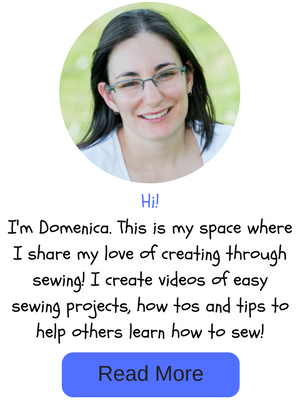 I was thrilled to find your tutorial as I want to be able to personalize some of my quilts. However, when I tried doing this, the fabric kept jamming. Can you shed any light on this issue? Thank you! Hi Laura. Have you tried putting the printer settings onto a setting that will print slower like a photo setting? The printer tends to feed the material through slower and prints a lot better when it’s on a better quality setting. Wow! I’m so excited about how my project turned out! Thank you for the step by step, holding my hand along the way, tutorial! ? Oh that’s fantastic! Glad I could help ? Fantastic! All the best ? Thank you very much for this tutorial. 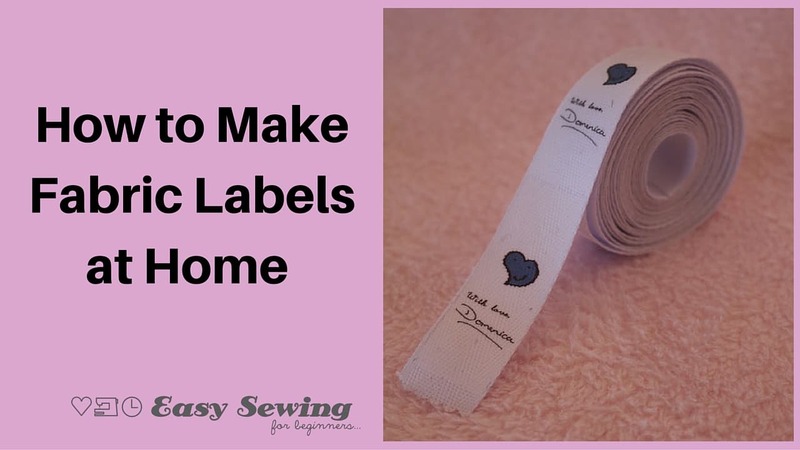 I’ve been wanting to learn how to personalize my crafting/sewing projects. This is the simplest practical way to do it. I will do this as soon as I can. You’re welcome! Glad I could help ?